Looking for expert heart and vascular care? You don't have to look far. The Heart & Vascular Institute at Portsmouth Regional Hospital provides exceptional cardiovascular care comparable to those found at major urban medical centers—with a much more personal touch. When it comes to your heart health, you'll be reassured to know that we carefully weigh options to choose those that are most effective in treating your condition and least invasive to your body. Many of our procedures rely on noninvasive or minimally invasive techniques. 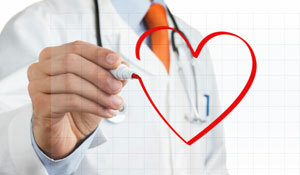 When dealing with a heart condition, your life depends on the people you choose to treat it. Learn more about these and other heart and vascular conditions in our online Health Library. Explore Portsmouth's heart services that address the full range of cardiovascular conditions. You benefit from their combined expertise, backed by a team of specialized nurses, technicians, therapists, rehabilitation specialists and others devoted to consistently delivering excellent cardiovascular care. Heart disease is the No. 1 killer of men and women worldwide and is responsible for more deaths than all forms of cancer combined. Stroke, resulting from an interruption of blood flow to the brain, is the third highest cause of death. The experienced cardiovascular specialists at Portsmouth Regional Hospital treat nearly all types of heart disease and other heart and vascular conditions—from the most common to the most complex—using some of the most advanced treatments and technologies. 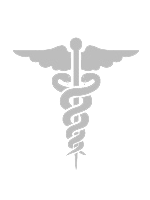 We focus on your overall health and emphasize patient education. What's the difference between heart attack symptoms in men and women? What are risk factors for heart disease? What is aortic aneurysm surgery? What symptoms are associated with chest pain? Scheduled for a Cardiovascular Procedure? To save time, Preregister Online.